℗ 2016 The Sixteen Productions Ltd.
Symphony No. 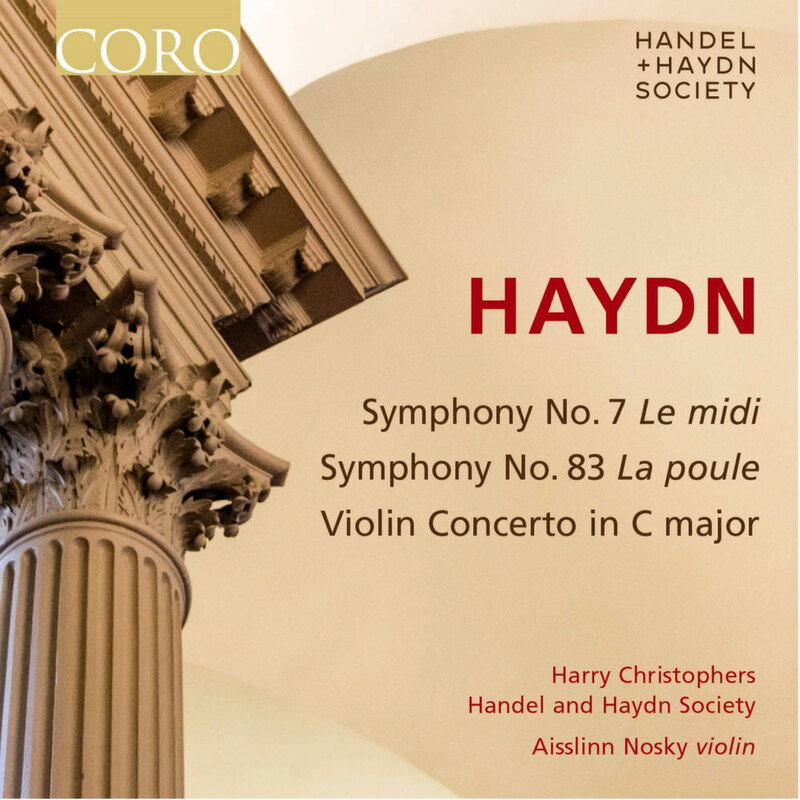 7 in C Major, Hob.I:7 "Le Midi"
Packed full of drama and theatricality, Harry Christophers and the Handel and Haydn Society present this live recording devoted to the master of the symphony, showcasing Haydn’s Symphony No. 7. The work, amongst the most striking of Haydn's early symphonies, is set alongside the much later Paris Symphony No. 83 "La poule", named because of its famous clucking dotted note motif. Completing the programme is the Violin Concerto, performed by H+H’s fiery and expressive concertmaster Aisslinn Nosky.